This tutorial will serve as a basic how-to guide on how to create sounds and get them onto Sketchfab. Sketchfab community member Seori, a hobbyist sound designer who has worked on several indie games, goes over the basics of sound creation workflow and publishing. 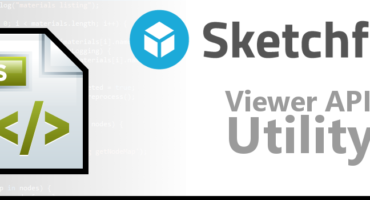 With sound adding a new dimension to Sketchfab, your scenes will become even more immersive and enticing to experience, whether it be on the browser or in VR. With the added option of sound, you can pull your viewers in as much as you want. Do you prefer to keep the viewer at a distance or educate them via non-diegetic sound, such as music or a narration explaining the history of your cultural heritage scan? Do you want people to explore your environment as close to reality as possible with diegetic sounds with a sounds like footsteps, dialogue, and other environmental noises? Or both? It’s all possible now, as long as you know the basics, which are fairly simple! This tutorial will be the be a step by step guide on what tools you’ll need to create sound, how to mentally draft a sound, the components that need to go into it, the basics of how to alter your sound, basic DAW uses, how to export your sound and into your scene. For those with a gaming, video, or sound background, this may be a redundant exercise but it’s still an important one to maximize the use of Sketchfab’s new sound system. Akin to 3D and VR creation, you also need the right tools to create sounds. What will help you get started is a digital audio workstation (DAW). There is a wide range of DAWs to fit your needs, from the basic and robust Audacity to the highly streamlined industry standard ProTools or Logic, especially for musicians. For the sake of economics and accessibility, I personally prefer Reaper and will be working in that today. While the layout is slightly different than the previously mentioned DAWs, in that it is much more expansive than Audacity and does not come with all the plug-ins that ProTools has, the basics are applicable across the board. Plug-ins are additional downloadable software that can add and enhance how you can synthesize your sounds. Especially when money comes into play, please make sure that it is compatible with your DAW. For the tutorial, I’ve worked with shaderbytes to show two contrasting scenes in order to explore how 3D sound works on Sketchfab. Following his lead, I created two contrasting weather ambiances, Sunny Day and Rainy Night. It’s pretty basic. The two major components that went into creating this are actually other sounds and putting filters on the raw sounds. To be honest, this isn’t the most clean or elegant solution to certain sound techniques but at the end of the day, your audience isn’t looking at a breakdown of your session. When you know what you want, it’s much easier to siphon specific sounds from various sources. Sound libraries are a great resource to when you need inspiration and to pull sounds to download. Sound libraries can range from completely free to costly. While it’s not a 100% guarentee, the price usually correlates with the quality. If you are really in bind, sometimes royalty free Youtube sfx videos/channels can be a lifesaver! Here’s a glimpse of mine! When downloading sounds, it helps to get several different sounds within a category so you can explore with picking and choosing elements from several sources. Here is what an empty Reaper session looks like. The best way to get started is by dragging in all your sound files! For me personally, it’s helpful to create a track for each file. That way, you can later mute, solo, or even delete certain sounds, as opposed to say, putting everything on one line. The tracks will automatically be the names of that file but you can edit them to be even clearer by double clicking on the track and then typing in what you need it to be. There are endless possibilities to what you can do to these sounds, which is completely dependent on what you envision. One can download endless plugins or spend quite a lot of time setting up sessions for specific listening environments but to keep things simple, here are a few basics. Cutting and/or pasting: Like text, parts of sound files can be chopped up as well. If you only want 3 seconds of a piece of your file, you highlight a section or split (click where you want and press ‘S’ in Reaper) a file. High pass and low pass filters: These are filters, which attenuate (cut off) parts of audio based on frequency. As the names suggest, a high pass filter allows high frequencies to pass through by cutting off audio content below a cutoff frequency. A low-pass filter does the opposite, with letting low frequencies pass by cutting out the higher frequencies. For instance, you might want to use a low pass filter for sounds muffled by a wall and a high pass filter for rain drops on a tin roof. There are more structured ways of deciding what is the right cut off frequency but a lot of the times I just really on my ear on what sounds right. In order to make the thunder sound less present and far away, I put a basic low pass filter that came with the OS. The FX button will lead to a menu of all the filters that are downloaded. You can search for ‘lowpass’ and see what comes up. Layering: Multiple sounds happen at the same time. Luckily in DAWs, it’s very easy to layer sounds and have create an ambient soundscape. A simple click and drag on the sound section enables you to move it anywhere within the station, even to other tracks if you need to. How do we get your hard work out of the DAW and onto Sketchfab? Highlighting the section that you want exported or selecting all of it if everything there is what you want and clicking File > Render works for Reaper. Other DAWs may differ slightly but the premise is relatively the same. You can also isolate tracks by just highlighting that track! That may come in handy if you want one 3D sound and background, stationary noise. If you wanted a render of just the rain, for instance, make sure to just highlight the track with the rain and you will get a render, or a bounce, of just rain without the rest of the soundscape. Be sure the name it and put it in the folder you saved your sound files that made up the sound you just created. A lot of DAWs work by referencing and loading files on a folder based system to save on CPU. It must be an .mp3 for it to be compatible with Sketchfab. Now you have your sound! In your model’s ‘Settings’ page, click on the ‘Sound’ tab, the tab with an icon like a speakerphone. Browse or drag and drop your file(s). Make sure it’s entirely your original work! Your sound in in! You can adjust volume, whether or not it loops, and whether or not it is 3D. This takes us through a static sound but you may want a sound that is 3D, meaning it moves within the scene and accounts for location and height. Go through the same steps but be sure to click on ‘3D’. And adjust the settings to what you need. Is your scene an endless animation? You probably want to click on the ‘Repeat Track’ icon, which loops it. Do you want it to match up with your animation from the moment it begins? Set it to 00:00. Do you want your sound follow the animation, in the event of a car or a human walking? ‘Stick to closest geometry’ will snap the audio to the animation’s geometry. Uncheck it to adjust these parameters. When you have the track(s) you want in there and the way you want it, click ‘Save Settings’. Now share it and people will never want to leave your scene! i place the first one and go to place the second one somewhere else ands the first one also moves to that place?